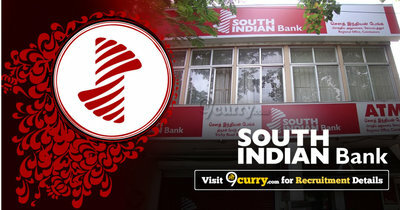 South Indian Bank Recruitment 2019 - Below are various recruitment notifications published by South Indian Bank / www.southindianbank.com. As of now, we don't have any active recruitment notification by South Indian Bank featured here. We may update as soon as the organization announces a new job notification. If you are looking for any information related to previously organized recruitment drives by South Indian Bank, you can browse through previous job notifications mentioned below and get the new updates or information you are looking for. South Indian Bank Recruitment 2018 - Apply Online for 100 PO Posts in South Indian Bank, Across India. Online Applications are invited by South Indian Bank from 20 Jun 2018 to 27 Jun 2018 for 100 vacancies. South Indian Bank Recruitment 2018 - Apply Online for Probationary Security Officers Posts in Across India. Online Applications are invited by South Indian Bank from 22 May 2018 to 27 May 2018 for 7 vacancies. South Indian Bank Recruitment 2018 - Apply Online for Probationary Legal Officers Posts in South Indian Bank, Kerala. Online Applications are invited by South Indian Bank from 22 May 2018 to 27 May 2018 for 9 vacancies. South Indian Bank Recruitment 2018 - Apply Online for 150 posts for Probationary Officers PO Posts in South Indian Bank, Across India. Online Applications are invited by South Indian Bank from 16 May 2018 to 25 May 2018 for 150 vacancies. South Indian Bank Recruitment 2018 - Apply Online for Officers In Scale V/ IV/ III Cadres Posts (Assistant General Manager (Scale V), Chief Manager (Scale IV) & Senior Manager (Scale III) in South Indian Bank, Kerala on Permanent basis or On contract basis (only for Scale V). Online Applications are invited by South Indian Bank from 31 Jan 2018 to 09 Feb 2018. South Indian Bank Probationary Clerk Recruitment 2017 - Job notification for 468 Probationary Clerk Posts in Kerala, Tamil Nadu, Andhra Pradesh, Telangana, New Delhi. Online Applications are invited by South Indian Bank from 20 Dec 2017 to before 30 Dec 2017 for 468 vacancies.